Congratulations to "Ami S.", the winner in RC's giveaway. Thank you to all who participated! 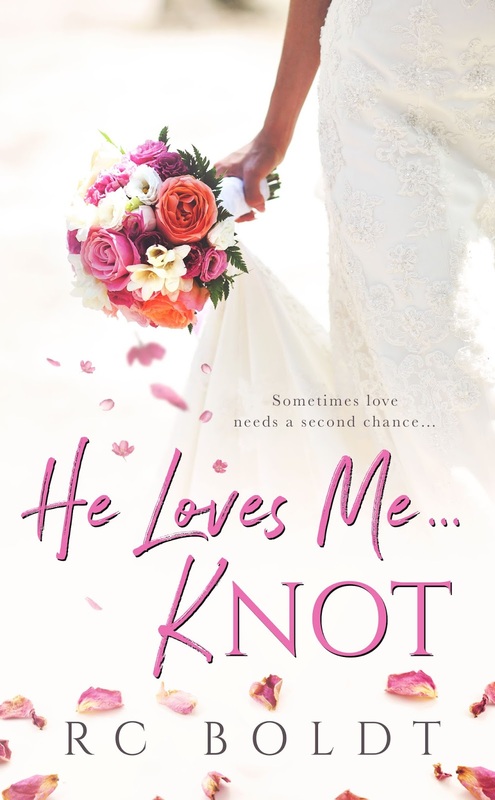 My November release, He Loves Me…KNOT, is the story of Emma Jane Haywood who skips out on her own wedding only to discover, eight years later, her new boss is none other than her former fiancé at the altar. Since this is a second chance romance, I thought I’d revisit my all-time favorite books which are also the same trope. My favorite part about second chance romances is the angst the reader feels, the way we cross our fingers and toes in hopes that the characters will be able to mend their differences, to heal their emotional wounds, and move on to finally—FINALLY—gain their own happily ever after. I love the continuous push and pull, the tumultuous and conflicting emotions the characters often feel in books like these. In He Loves Me…KNOT, both Emma Jane and Knox experience this ten-fold as they acclimate to their lives intertwining once again, with unfinished business hovering amidst them. RC will be giving away a $10 Amazon gift card along with an ebook from her backlist to one lucky reader leaving a comment or email entry! Giveaway ends 11:59pm EST Nov. 14th. Please supply your email in the post. You may use spaces or full text for security. (ex. jsmith at gmail dot com) If you do not wish to supply your email, or have trouble posting, please email maureen@JustContemporaryRomance.com with a subject title of JCR GIVEAWAY to be entered in the current giveaway. US residents ONLY. The book sounds great. I love me some second chance romance :) Also, I'll have to check out your recommendations. Thanks! Wow, that sounds like heck of a story! Really looking forward to read it! I’m new to your books and it’s always a pleasure to find new to me author! I like reading second chance romances because I like seeing how the characters grow and how they deal with the past issues. This sounds like a great storyline, can't wait to read it! Oh I enjoy second chance romances... love to see how things work out for them! Thanks for sharing! Second chance romances are always fun!! Thanks for sharing this book!